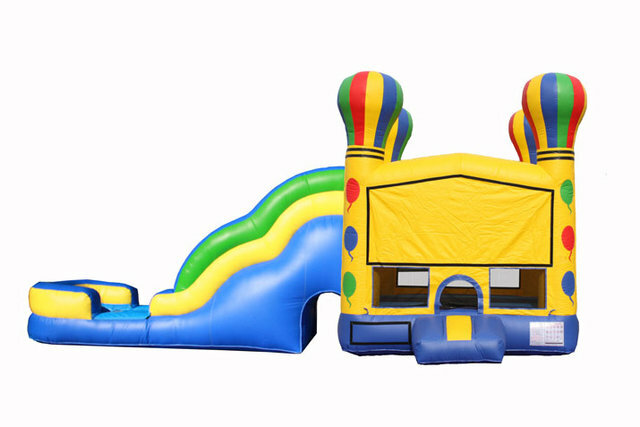 MEGA is how to describe the amount of fun your kids will have in this bounce!. 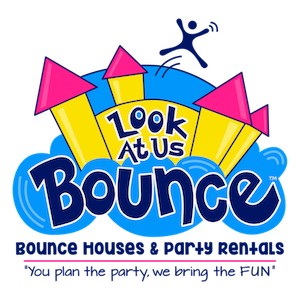 It gives you the best of both worlds Has a wide bouncehouse area, a 10 foot tall slide plus a basketball hoop and some mini obstacle poles inside the bouncing area. Great for any party! Comes with a bumper. Able to be used as a Waterslide combo, Attachments provided when ordered wet Also referred to as a 5in1 combo. Measures 32 feet in depth, 16 feet high, 16 feet width.